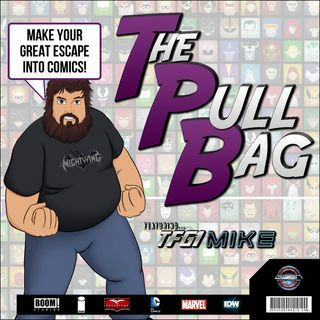 In Episode 307 of The Pull Bag join TFG1Mike and MovieRevolt Dan aka the Comic Concierge dive back into i Hate Fairyland. This time they talk about the volume 3 trade from Image Comics. It's time Gert went Good! Check this out from Scotty Young and his team that have shaped this series! What will happen to Gert? Will she get to go home? Or will her actions send her somewhere else? Tune in to hear our thoughts on this latest story from Fairyland! As always Make Your Great Escape Into ... See More Comics!! !